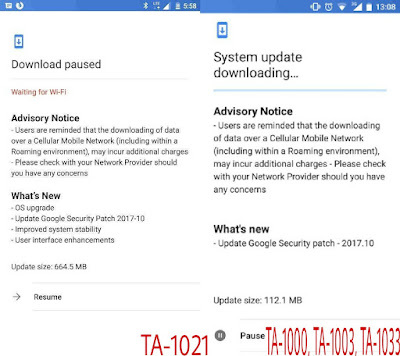 Nougat 7.1.2 Along With October Security Patch Is Now Being Rolled Out To TA-1021 Variant Of The Nokia 6 - AndroGuider | One Stop For The Techy You! There are currently very few devices in the market which are running Android 7.1.2 Nougat. We have the Pixel, Nexus and Android One devices which got the Android 7.1.2 update in April earlier this year and now run on Oreo. Apart from these, the Wileyfox Swift 2, 2X and 2 Plus were upgraded to Nougat 7.1.2 in June. The Nokia 6 is the latest entrant to the handful of devices which have received an official Android 7.1.2 update. The Nougat 7.1.2 update is being rolled out to the TA-1021 version of the Nokia 6. The update also comprises of the October security patch along with enhancements to system stability and user interface. 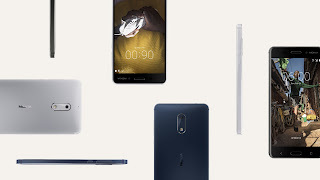 NokiaMob claims that the Nougat 7.1.2 upgrade is currently restricted to only the TA-1021 model of the Nokia 6. 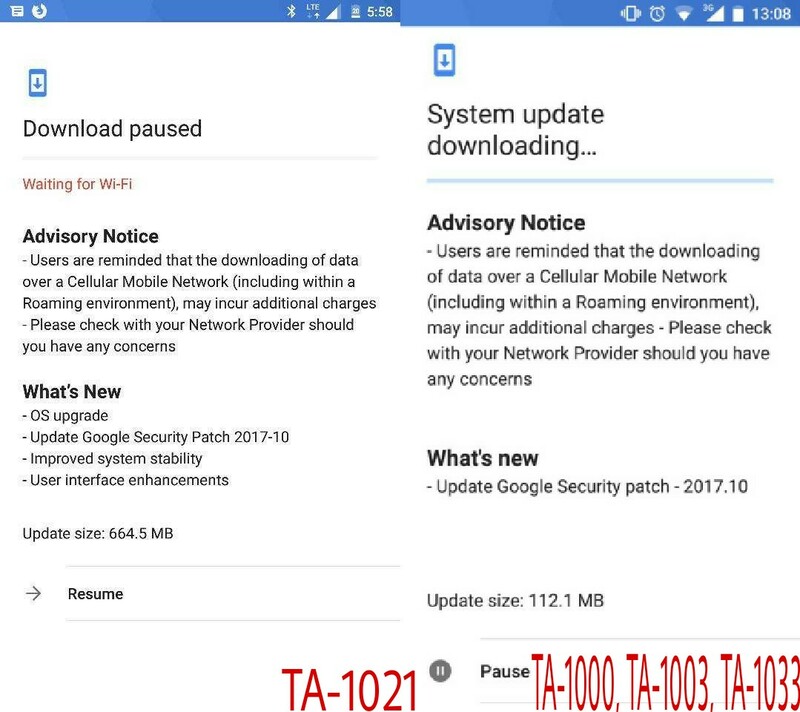 Other models of the Nokia 6 (TA-1000, TA-1003 and TA-1033) are getting the October security patch on top of Nokia 6. The update size for TA-1021 is 664.5MB while that for the other Nokia 6 models is 112.1MB. Android 7.1.2 is the final maintenance release of Nougat. The Nokia 6 is assured of an upgrade to Oreo and Android P later on.